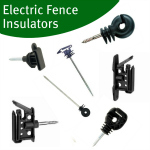 Electric fence rope is mainly used in fencing for horses due to its high visibility and strength. Poly rope combines strands of plastic rope with stainless steel and copper conductors. 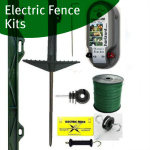 Electric fencing rope is generally 6mm in diameter and is ideal for areas with little shelter that are open to strong winds. 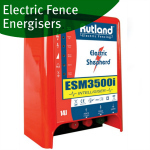 Electric fence rope has a high breaking strain making it a stronger barrier to contain horses. Poly Rope is usually used in electric fencing horses as offers a 6mm diameter strong rope that is visible and resistant to damage in open and windy areas. 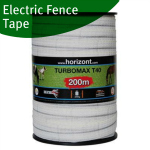 The poly rope we stock gives you choice of quality with economy designed more for temporary electric fencing and medium and high quality ropes such as turbomax that are more suited to permanent horse fencing. 6mm White Electric Fencing Poly Rope 200m: Economy white poly rope with 6 x 0.20mm stainless steel conductors and a 400kg breaking strain. 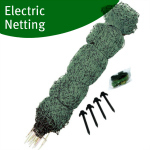 This poly rope is designed for temporary electric fences under 1.5km. Green Power R6 6mm Poly Rope 200m: Medium quality white/green 6mm poly rope with 5 x 0.25mm stainless steel conductors and 1 x 0.20mm tinned copper conductor. 200m roll with a 3 year UV warranty. This poly rope is for medium length temporary and permanent electric fences. Green Power R6 6mm Poly Rope 400m: Medium quality white/green 6mm poly rope with 5 x 0.25mm stainless steel conductors and 1 x 0.20mm tinned copper conductor. 400m roll with a 3 year UV warranty and 400kg breaking strain. This poly rope is for medium length temporary and permanent electric fences. Turbomax R6-PE 6mm Electric Fence Rope 200m: High quality premium white/balc 6mm poly rope with 5 x 0.20mm stainless steel conductors and 1 x 0.25mm tinned copper conductor. 200m roll with a 5 year warranty and 500kg breaking strain. Turbomax rope is for long distance permanent electric fencing. Turbomax R6-PE 6mm Electric Fence Rope 400m: High quality premium white/balc 6mm poly rope with 5 x 0.20mm stainless steel conductors and 1 x 0.25mm tinned copper conductor. 400m roll with a 5 year warranty and 500kg breaking strain. Turbomax rope is for long distance permanent electric fencing. Turbomax R6-PE 6mm Electric Fence Rope 800m: High quality premium white/balc 6mm poly rope with 5 x 0.20mm stainless steel conductors and 1 x 0.25mm tinned copper conductor. 800m roll with a 5 year warranty and 500kg breaking strain. Turbomax rope is for long distance permanent electric fencing.